As she plotted her course toward a career in international diplomacy, Nicole Bermudez ’16 discovered a sort of “twofer” among graduate fellowships. That’s the Thomas R. Pickering Foreign Affairs Fellowship, an unusual grant program that affords financial support for graduate study — but also puts recipients into a position at the U.S. State Department. Bermudez is the first Bates graduate honored with the Pickering, a fellowship funded by the State Department and administered by The Washington Center, an educational nonprofit. The fellowship is highly competitive: Hundreds of applicants from more than 200 colleges and universities were in the running for this year’s 30 awards. “Pickering Fellows work for the Department of State for five years after graduation,” Bermudez says. “I see it as an opportunity for me to start a lifelong career with State.” She aspires to work as a political officer, a specific diplomatic role dedicated to the analysis of foreign events in the light of U.S. interests. Currently nearing the end of a two-year stint teaching in Colombia, funded by the Fulbright Student Program, Bermudez will attend The Fletcher School of Law and Diplomacy at Tufts University. “Bates taught me the value of a liberal arts education and the importance of gaining a wide breadth of knowledge,” says Bermudez. Her Bates experience bears that out. A politics major, she was a math and physics tutor, a residence coordinator, and a track and field athlete. 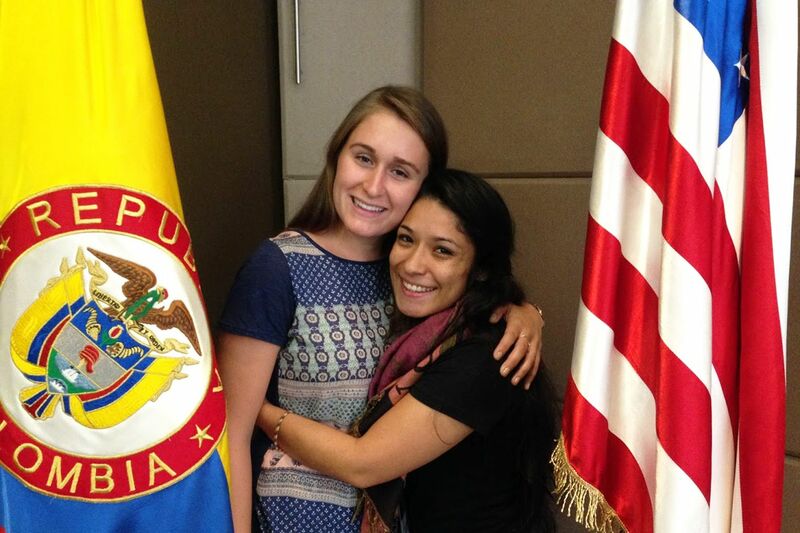 Nicole Bermudez ’16 is shown in Bogotá with Bates classmate Maria “Lupe” Vargas, who, like Bermudez, received both Fulbright Teaching Assistant and Senior ETA awards for Colombia. The Pickering Fellowship, whose objectives include increasing the diversity of the Foreign Service, is the latest addition to Bermudez’s impressive and carefully considered string of achievements. She was one of three Bates students to spend summer 2014 doing graduate-level work at a research university through the Creating Connections Consortium. 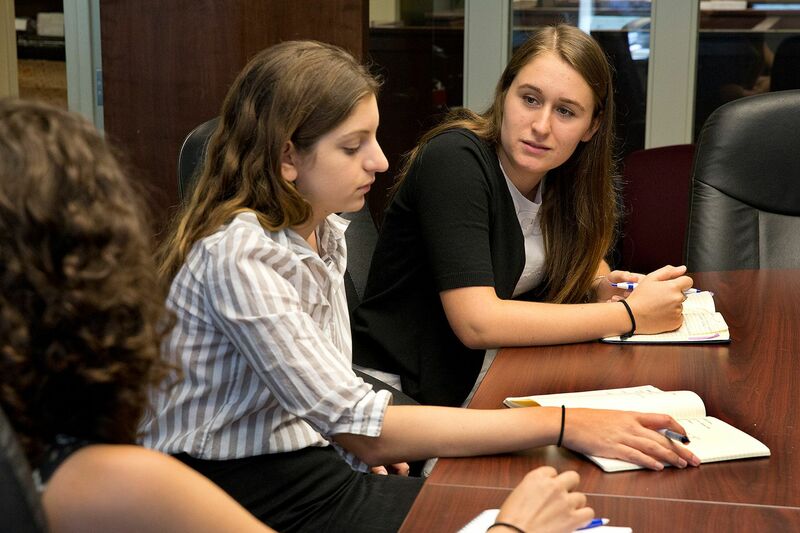 As a Purposeful Work intern in 2015, she worked at the Hebrew Immigrant Aid Society in Washington, D.C., dedicating her summer to a cause close to her heart. 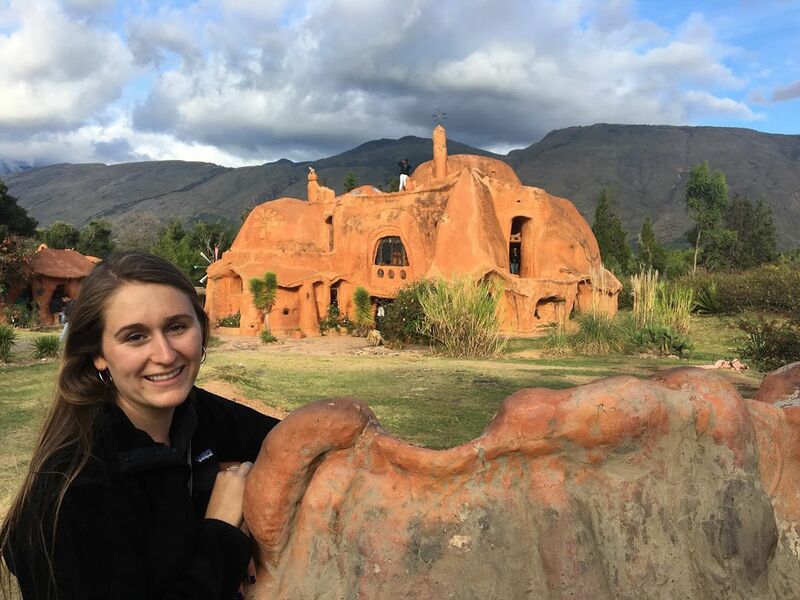 In 2016, she received a Fulbright English Teaching Assistant award for a year in Colombia — followed by the Senior ETA award that has kept her in Colombia for a second year training and mentoring younger Fulbright recipients. Bermudez was raised in California, the daughter of a woman from New England and a father born in Colombia. She represents the first generation of her family to pursue education beyond an undergraduate degree. She talked to us about her diplomatic ambitions, her time in Colombia — and her family connection to that Latin American country. How have your parents influenced your life choices? My parents are Denise and Hernando Bermudez. Denise was the first in her family to attend college, and she supported herself and even pushed my father to pursue a degree later in life. She has always encouraged me and instilled in me the value of education. Hernando’s experiences in Colombia during a time of violence and his migration and transition to living in the United States gave me an interest in migration and conflict resolution, which I’ll be studying at The Fletcher School. Working in Colombia on a Fulbright fellowship, Nicole Bermudez ’16 is shown in the town of Villa de Leyva. Behind her is Casa Terracota, a modern house made from clay mined on site and baked. His stories that I’d listen to growing up also widened my desire to learn more about Colombia and Latin America more broadly. His experiences ultimately inspired me to apply for the Fulbright Colombia, which in turn gave me the skills and confidence to apply to the Pickering Fellowship. The Pickering situates you in the State Department after you earn your master’s. What would you like to achieve in that realm? The mentorship and internship experiences from the Pickering will help me better understand the responsibilities of each career track in the department and solidify what I’d like to achieve in the Foreign Service. Broadly, I want to contribute to international cooperation and the protection of human rights, and I believe I can do this as a Foreign Service officer. I hope to become a political officer, where I learn about the culture, politics, and society of a host country, and communicate this to the U.S. government so that our foreign policies are thoughtful and appropriate. I’d like to serve in the Middle East and Latin America, and even at the U.S. mission to an intergovernmental organization like the Organization of American States or the UN’s refugee agency. Ideally, these experiences will help prepare me to be nominated and confirmed as a career ambassador. How was your Fulbright experience good preparation for the things you hope to do next? I’ve been challenged in ways that I didn’t expect, but these experiences have given me the opportunity to grow into a more independent and confident woman. I’ve not only learned about myself but also my Colombian culture, and have had the opportunity to spend time with some family members for the first time. I’ve been grateful to be in Colombia during such a pivotal time, with the peace accord as well as the upcoming presidential elections. I was fortunate to meet some presidential candidates and even attend a congressional hearing about the Special Peace Jurisdiction process that decides how human rights crimes committed during the war will be prosecuted. Fulbright has given me experience in creating dialogue to foster cultural exchange, which is a central responsibility of many Foreign Service officers. I’ve been able to break down stereotypes many Colombians have had about the U.S. — and have challenged some of my own beliefs regarding Colombia that were shaped by my own American-Colombian family.